We recently launched this beautiful new website for Cactus Collective Weddings in Las Vegas, Nevada. 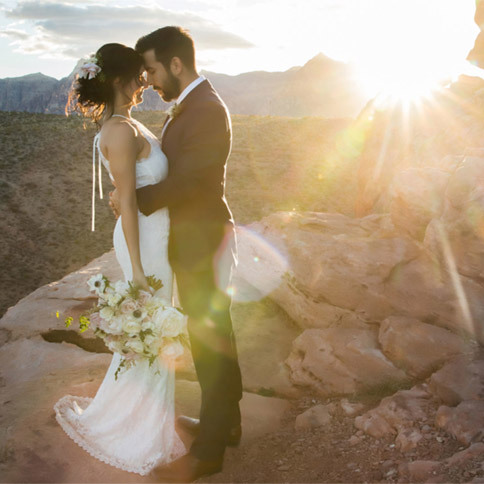 Cactus Collective provides all-inclusive intimate weddings and elopement packages for people that want non-traditional, smaller weddings at unique outdoor locations in the Las Vegas area. They have really beautiful photography that we wanted to stand out on a website that was on the softer side, and represented the beautiful outdoor locations where they host these unique and adventure-filled weddings. Check it out at cactus-collective.com. The website is powered by WordPress and is using the Genesis framework, giving the site a powerful and beautiful start. We’re using a Genesis theme and have customized it to fit our needs. The website content and structure was crafted by Sara Frandina, and we came in to bring the design together. We added several sections to the homepage of the original theme, making it a long and very descriptive homepage with lots of really beautiful photography so you get an excellent look at what Cactus Collective does at first glance. We chose fonts that are complementary to the logo, giving the site a feminine and romantic vibe without being over the top. There is a lot of white space with select colors that are also pulled from the logo, that speak to the area’s red rocks and desert landscape. Each page was carefully crafted and put together to include imagery, color and content that represented Cactus Collective well. I have used Snoack Studios for numerous websites now and they always provide excellent service, timely responses, honest feedback, and real expectations. Plus the quality of work was great! Thank you!!! Thank you McKenzi! We always enjoy working with you and just love how this site came out. Check out Cactus Collective if you’re in the market for a wedding in the Las Vegas area, and let us know what you think of the website in the comments below!